Bestel Sarah on the potty voordelig bij de grootste kinderboekwinkel van Nederland. Levertijd 1 dag. Sarah is very excited to get her first pair of big girl underwear, but it also means she has to learn how to use the big girl toilet and that will take some practice. 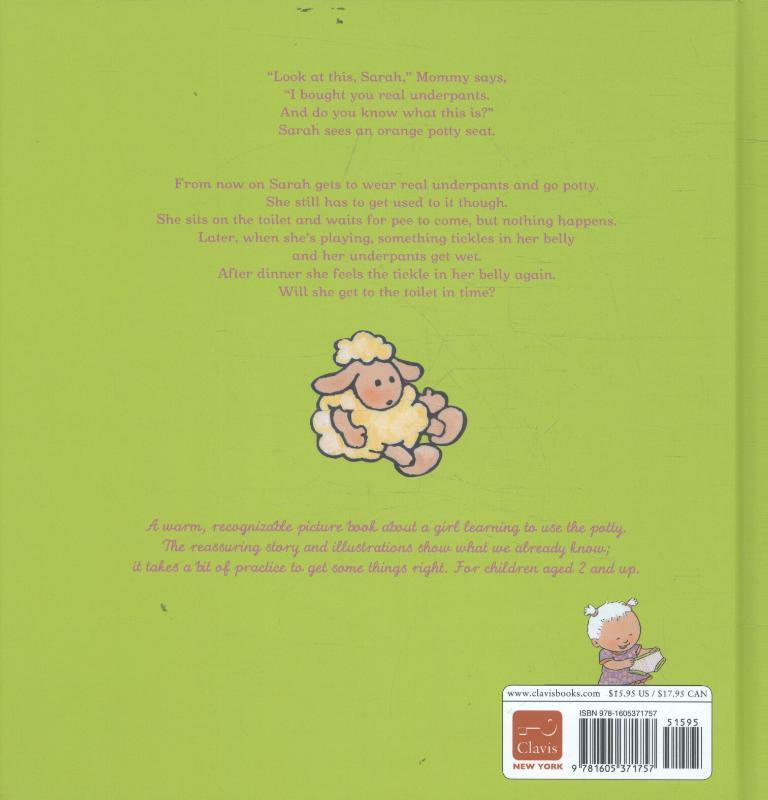 The reassuring story and illustrations help children and parents to relate to the challenges of potty training, and children will share in Sarah's triumph. From understanding when to know it's time for a potty break to encouraging hand washing, the charming story will resonate with toddlers taking this big step in growing up.